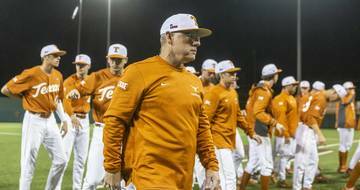 Texas seemingly closed out its 2018 recruiting class in February on national signing day. The Longhorns signed the third best class in the nation and the top class in the Big 12 during Tom Herman’s first full cycle recruiting as the head coach. But the Longhorns wanted another piece on the offensive line and they added it Saturday with Rice grad transfer Calvin Anderson. Texas’ struggles on the line in 2017 were well-documented. Injuries, transfers and a lack of overall talent prevented the offense from finding consistency. 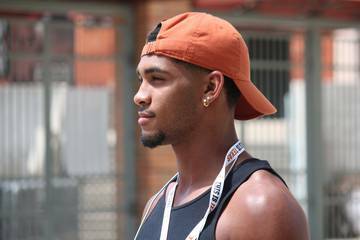 The Longhorns hoped to address those concerns in the 2018 class and did so by signing five linemen, including JUCO transfer Mikey Grandy. The biggest hole to fill was left by Connor Williams. The Longhorns needed an instant potential starter to compete at left tackle and Anderson now becomes the obvious candidate to replace the former All-American. 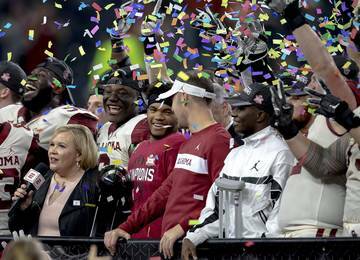 Anderson chose the Longhorns over Auburn, Oklahoma and Michigan. 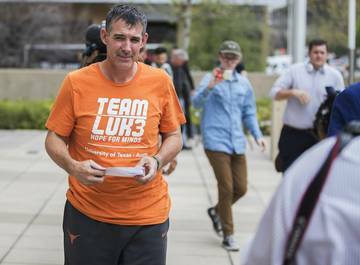 He doesn’t technically count toward the 2018 class, but he might represent the most important individual addition to the program since Herman’s arrival. Skill set: Anderson signed with Rice in 2014 after a high school career that began at Georgetown and ended at Westlake. That familiarity with Austin was a deciding factor for Anderson, who was courted hard by Westlake product and current UT quarterback Sam Ehlinger. Anderson is a quick-moving tackle with a stellar record as a pass protector. He’s put on good weight since high school and never lost the athleticism that separated him from other linemen. 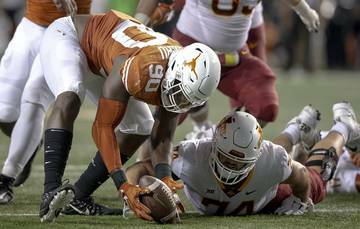 Immediate impact: Texas lost its left tackle when Williams declared early for the NFL draft. 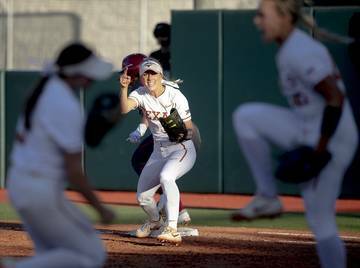 The trouble that the Longhorns had replacing him while missing seven games with an injury only showed how much help was needed at the position. 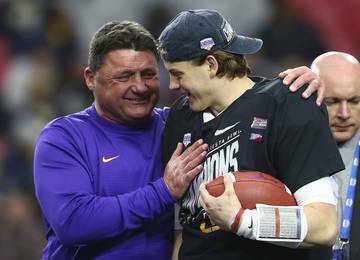 Anderson became the most coveted grad transfer offensive tackle on the market and new UT offensive line coach Herb Hand landed his first big fish with Anderson. 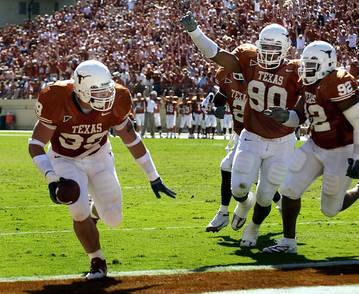 It would be a surprise if he’s not Texas’ starting left tackle in the season opener against Maryland. Fitting into the program: Anderson is already plenty familiar with Austin and the Texas program. He’ll also see familiar faces in Ehlinger and Breckyn Hager, another Westlake product. Anderson only has one year of eligibility remaining and he’ll use it to build an NFL résumé. A motivated Anderson gives Texas an experienced option at tackle, something Hand wasn’t going to be afforded without him. Recruiting at the position: Texas signed five tackles in 2018 and hopes to sign at least four in the 2019 class. Anderson is in a league of his own as a grad transfer. 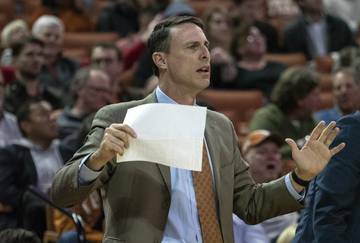 He’s a one-year option that allows Texas to develop the new young players and build depth with the next class. The addition of Anderson likely allows 2018 signees like Reese Moore and Rafiti Ghirmai a chance to redshirt and truly develop before competing for a spot on the two-deep.